The driest winter ever recorded in California…maybe the driest in the last 1,000 years. You must be thinking that can’t be good news for the 2015 California rafting season. And if we’re being honest, it’s not looking good for our free-flowing rivers this year. 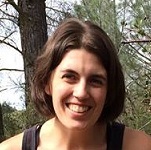 However, similar to 2013 and 2014, which were also quite dry, many of California’s most popular whitewater runs fed by high-elevation reservoirs will have reliable water. 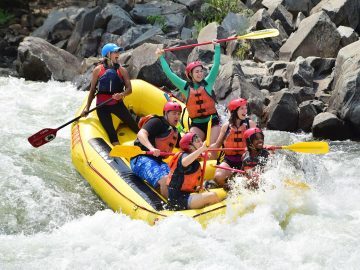 On the popular and exciting Class III South Fork of the American River near Sacramento, rafting season is already underway, with trips departing Saturday – Monday through Memorial Day Weekend. As the summer continues, reliable water releases from multiple high-elevation reservoirs, as part of a licensing agreement with the Sacramento Municipal Utility District (SMUD), will ensure raftable flows on the South Fork five days per week (Thursday – Monday) from Memorial Day through Labor Day. 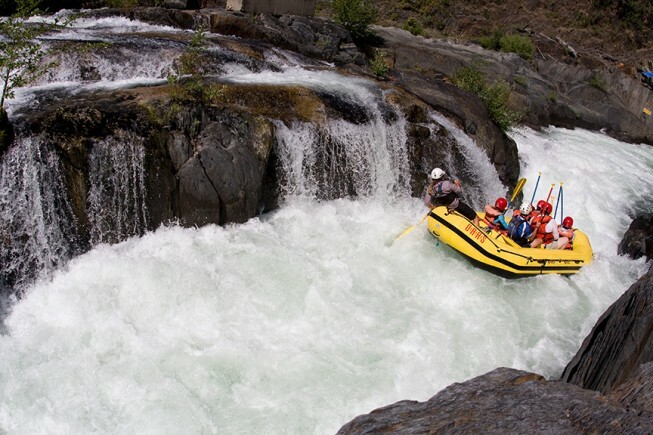 If you want to step things up a notch, great flows are also expected Saturdays and Sundays throughout the summer (along with Tuesdays and Fridays in June, July and August) on the Class IV Middle Fork of the American River, which is best known for its infamous Tunnel Chute Rapid. 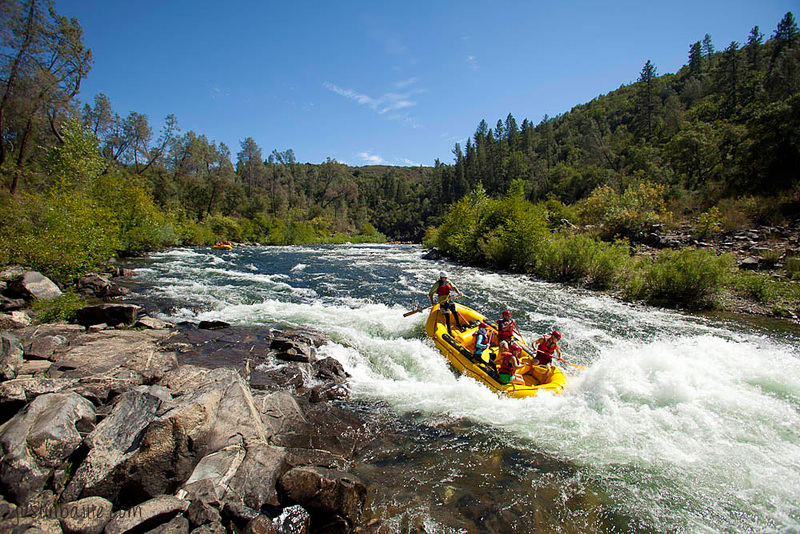 Considered by many to be California’s premier rafting trip, rafters can turn to the Class IV Tuolumne River this year for one- to three-day wilderness river trips just outside of Yosemite National Park. 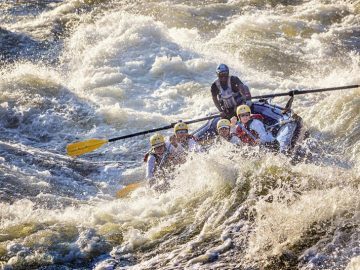 While rafters won’t see the epic high water that the river provides in a big snow year, there will be recreational releases happening throughout the summer—seven days per week in April and May, six or seven days per week from Memorial Day through Labor Day. 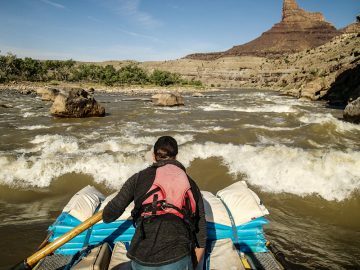 During June, rafters may experience low flows at times due to some pre-scheduled dam maintenance, but the more typical summertime flows will return from July through early September. Plus, only two outfitters are permitted to launch per day, which provides for a surprising absence of crowds amidst a pristine Sierra wilderness, complete with sandy beaches for camping, side canyons for exploring and swimming holes galore. 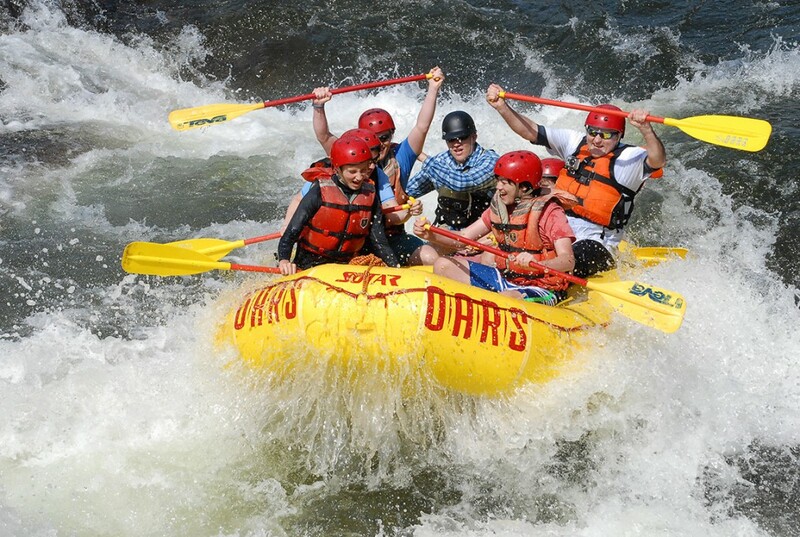 In the northern part of the state, the Lower Klamath River, which is also dam-controlled, will rely on upstream reservoirs this year for a normal rafting season throughout the summer. This multi-day, forested river trip features beach campsites, gentle Class II rapids and inflatable kayaking in warm water that’s ideal for families with kids as young as age four. On the Kern River in southern California a few outfitters are throwing in the towel for this season, while other outfitters plan on running mellow, low-water rafting and inflatable kayaking trips as long as the water cooperates (likely through July 4), and several other outfitters plan to run a scenic float trip on a section of the Kern just below the main dam on Lake Isabella throughout the summer. What About California’s Free-Flowing Rivers? 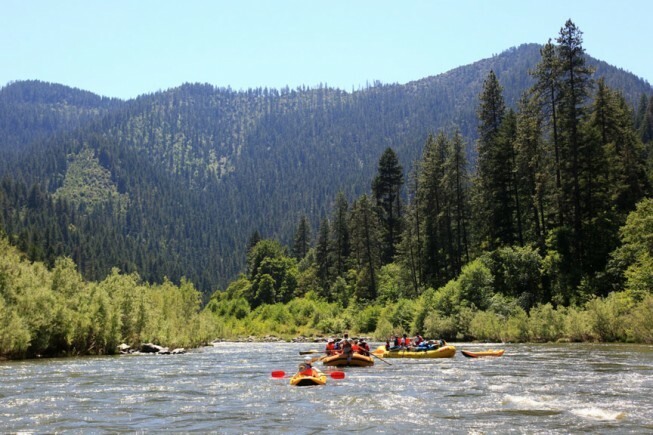 Unfortunately, based on the dismal snowpack in the Sierra, rivers like the North Fork of the American, Merced, Kings and Kaweah will have virtually no rafting this year at all. 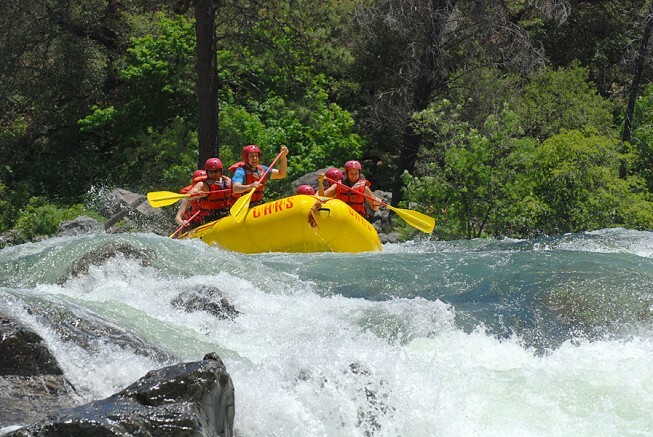 South Fork of the American River near Sacramento and South Lake Tahoe: Count on splashy, Class III fun Saturday – Monday until Memorial Day, then Thursday – Monday from Memorial Day through Labor Day and weekend water in September. 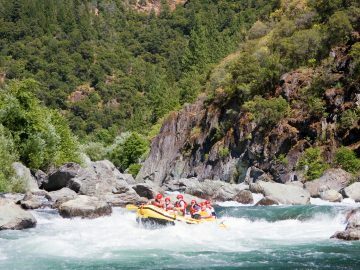 Middle Fork of the American River near Sacramento and North Lake Tahoe: Raft California’s most renowned Class IV rapid, Tunnel Chute, with weekend water from Memorial Day through Labor Day plus Tuesdays and Fridays in July and August. 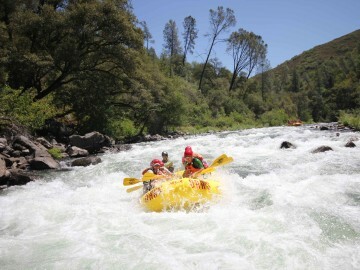 Tuolumne River near Yosemite National Park: Immerse yourself in the pristine wilderness of the Tuolumne River Canyon for 1- to 3-days, seven days per week in April and May and six or seven days per week from Memorial Day through Labor Day. Lower Klamath River in Northern California: Get the kids out on the super family-friendly Class II Lower Klamath River for 3 days of splashy fun in the sun from June through August.